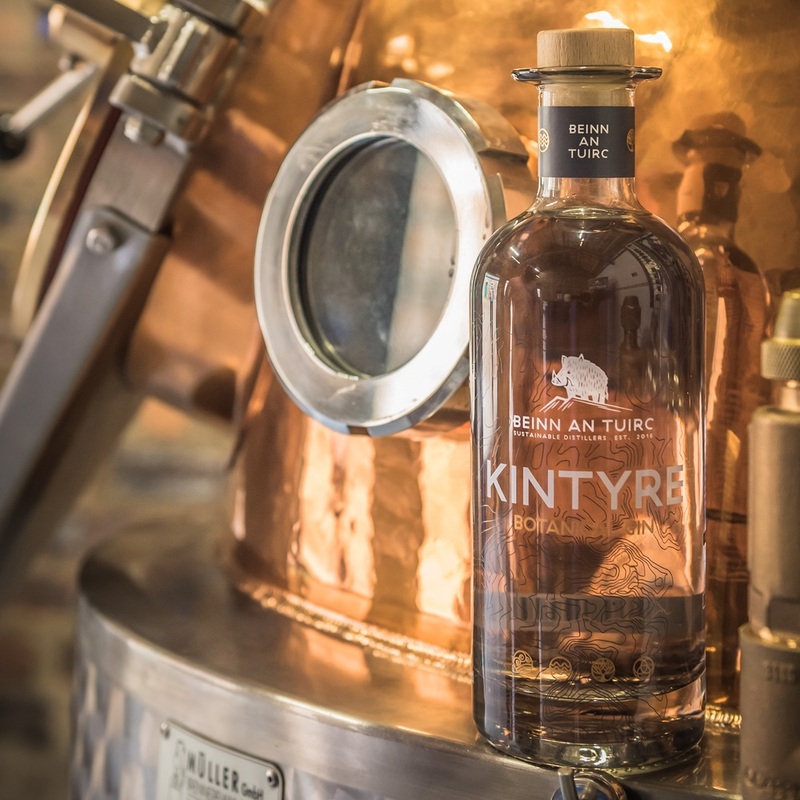 Situated in a former piggery building on Torrisdale Castle Estate in Scotland’s remote Kintyre peninsula, Beinn an Tuirc Distillery is the uniquely quirky home of Kintyre gin. Comprising around 1200 acres of hill, forest and farm land with breathtaking views over Kilbrannan Sound to the Isle of Arran, Torrisdale Estate has been in the ownership of the Macalister Hall family since the 1800’s and is now run by innovative husband and wife duo Niall and Emma Macalister Hall – the creators of Beinn an Tuirc. 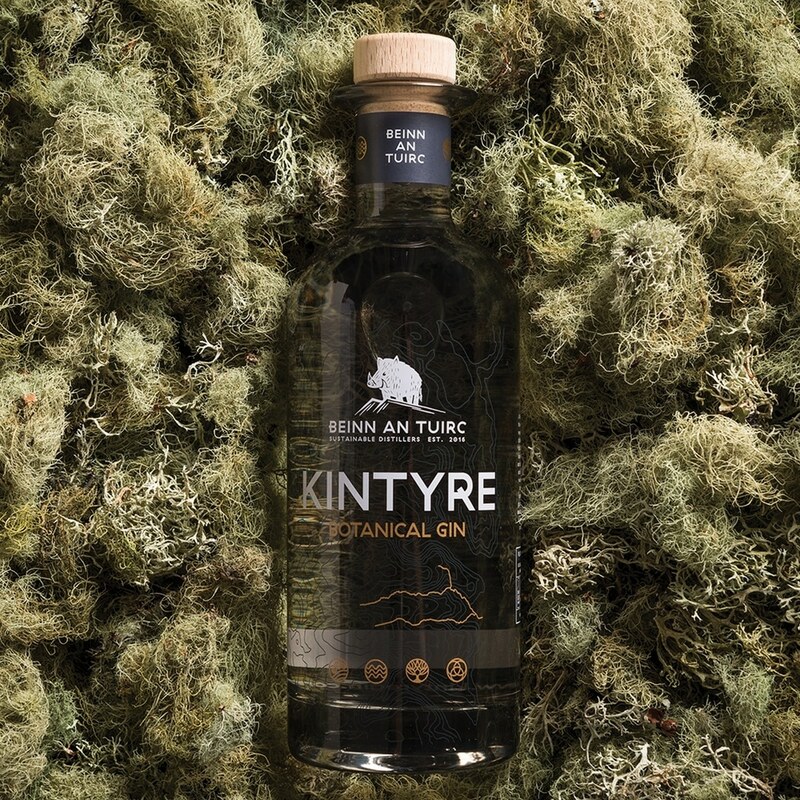 Beinn an Tuirc put 12 sustainably sourced botanicals in their Kintyre Gin, including Icelandic moss and sheep sorrel – both of which are grown and hand picked on the estate – along with fresh and sparkling natural spring water from the surrounding hills. 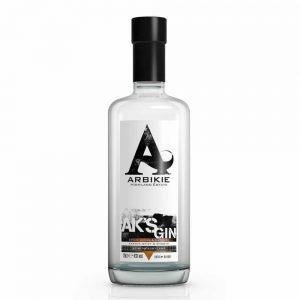 The result is a gin with it’s own unique character – deep, earthy and spicy, combined with with a very pleasant floral aroma. A true taste of Kintyre! The still is powered by the estate’s own on-site hydro electric scheme and the team plant trees locally on the estate to off-set any carbon footprint. 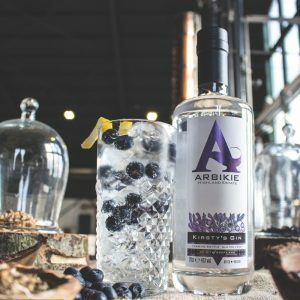 This is responsible, sustainable craft distilling at it’s best and the gin itself is really something special! Perfect Serve: Try with Fever-Tree Mediterranean tonic and a sprig of basil or a naturally light tonic with some fresh mint. 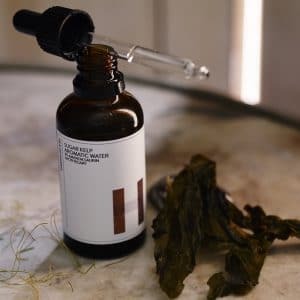 Alternatively, serve neat on the rocks! 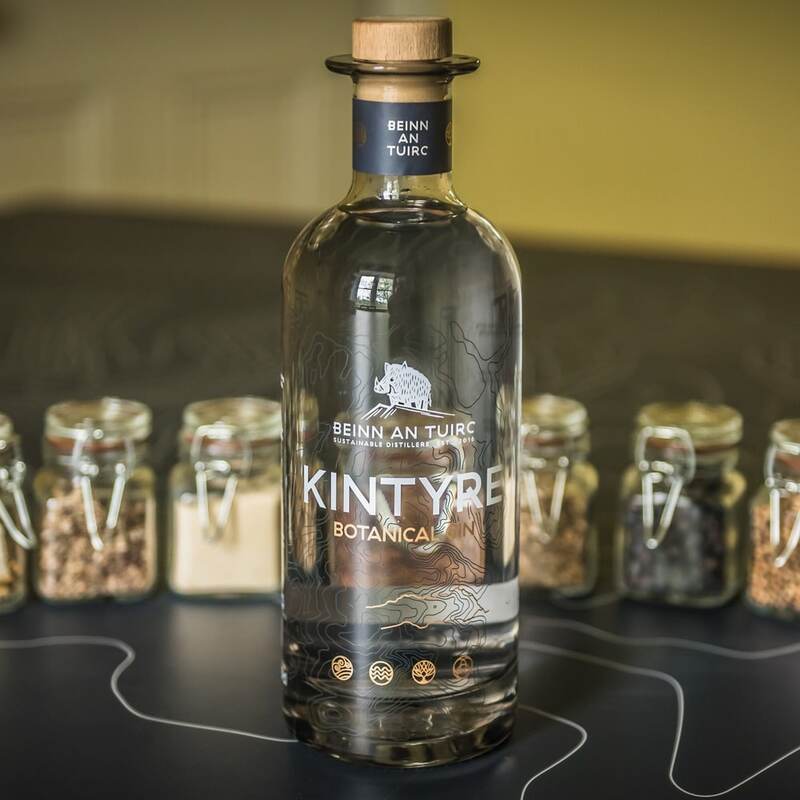 Beinn an Tuirc infuse their Kintyre Gin with 12 sustainably sourced botanicals including Icelandic moss and sheep sorrel – both of which are grown and hand picked on the estate – along with fresh and sparkling natural spring water from the surrounding hills. 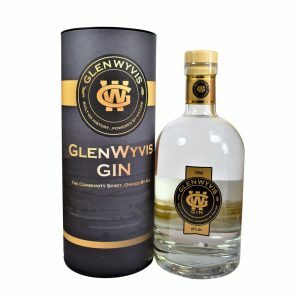 The result is a gin with it’s own unique character – deep, earthy and spicy, combined with with a very pleasant floral aroma. 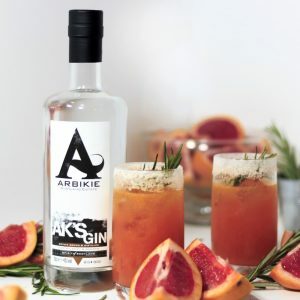 A true taste of Kintyre! The still is powered by the estate’s own on-site hydro electric scheme and the team plant trees locally on the estate to off-set any carbon footprint. 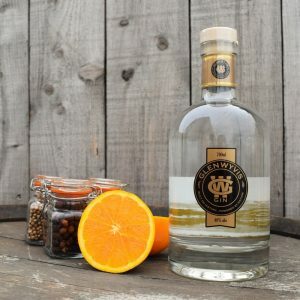 This is responsible, sustainable craft distilling at it’s best and the gin itself is really something special!